Shell Point Retirement Community has announced the 2013 Shell Point Summer Concert Series. Kicking off on Tuesday, June 11 with The Naples Jazz Orchestra, the fourth annual series will also welcome The Sunshine Trio on Thursday, July 11 and The BUZZ, a Sweet Adeline Barbershop Quartet on Friday, August 9. Shell Point Summer Concerts start at 7:30 p.m. in The Village Church. Tickets are available to the general public for all three concerts. Tickets are $35 for the series of three concerts or $15 for individual concerts. To purchase tickets or for more information, please visit www.shellpoint.org/concerts or call (239) 454-2067. The Academy of Lifelong Learning at Shell Point Retirement Community welcomes to its Summer Academy Kristie Anders, education director at the Sanibel Captiva Conservation Foundation. Anders will speak Monday, May 13, from 10 to 11:30 a.m. in the Grand Cypress Room of The Woodlands at Shell Point Retirement Community. Anders’ presentation, “Fish: No Bones About It,” is an overview of cartilaginous fish that have no bones. Anders will speak about elasmobranchii, a subclass of Chondrichthyes, which are cartilaginous fish such as sawfish, sharks, sting rays, and skates. Anders will also share what motivated Teddy Roosevelt’s visit to Captiva and what it had to do with sting rays. This event is free, but reservations are required. Please call (239) 489-8472 for more information. Shell Point Golf Club will offer a free Junior Golf Camp for children between the ages of 7 and 16. Sponsored by a generous donation from the Shell Point Men’s Golf Association, the four-day camp will be held Tuesday, May 28, through Friday, May 31, from 9 a.m. to 12:30 p.m. Each day will include range time with two certified golf professionals as well as actual course play. Drinks and snacks will be provided. Limited space is available. To register for the Junior Golf Camp, please call Shell Point Golf Club at (239) 433-9790. Lynn Schneider, APR, CPRC, assistant vice president of marketing and communications for Shell Point Retirement Community, will present The Psychographic Stages of Adult and Senior Living at the Sanibel & Captiva Islands Chamber of Commerce Business Lunch to be held at the Sundial Beach Resort and Spa on Sanibel on Tuesday, May 14, from 11:30 to 1:30 p.m.
Schneider’s presentation reviews the various life stages adults and senior adults go through as they age beginning at the age of 18. These psychographic stages explore the potential changes adults may experience in personality, attitudes and interests as they age and define the life choices they may make based upon these stages. This topic also addresses the milestones so notably experienced by Baby Boomers as they have reached retirement in the 21st Century. Lynn Schneider is one of 23 industry experts listed in the 2013-2014 Speakers Bureau provided as a community service by Shell Point. Across the country, the senior adult population is the fastest growing segment of our society. With this unprecedented growth comes significant challenges, as well as exciting opportunities. 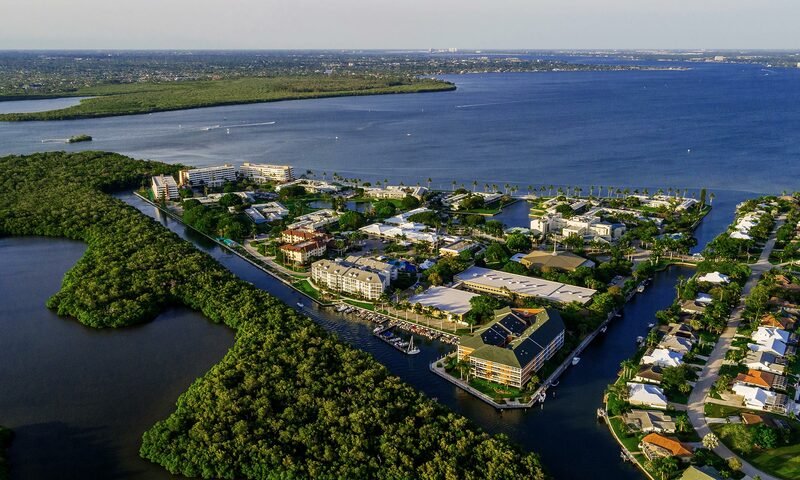 Since 1968, Shell Point Retirement Community, a non-profit organization, has been committed to providing the necessary services that meet the lifestyle and healthcare needs of senior adults and their families here in Southwest Florida. In its 45-year history, Shell Point has developed a variety of innovative, award-winning programs and is considered a national leader in the industry. Shell Point is available to provide informative speakers on a wide variety of topics related to senior adults or the senior healthcare industry. To request a copy of the Speakers Bureau brochure or to schedule a speaker for an upcoming event, please contact Kara Minoui at 239-454-2071 or email karaminoui@shellpoint.org. FORT MYERS, Fla. ( April 4 , 2013) – The final performance in the 2012-2013 Season of Praise Concert Series will be a faith-based musical drama entitled: Women Who Dare to Believe on Sunday, April 21 at 6:15 p.m. Veteran actresses Bonnie Keen and Nan Gurley will bring to life 21 women from the Scriptures whom God used to fulfill the covenant and bring in the Messiah in this thought provoking musical. With cutting-edge dialogue, original music, and creative interaction with the audience, this 90-minute musical will inspire viewers with the stories of women who dared to believe and pushed against the pressures and culture of their day. The scarlet thread of hope runs through the stories of Rahab, Tamar, Leah and Rachel, Deborah and Esther, Anna and Mary. Like women today, these women knew this was their hour, this was their moment. On a bare stage, two women using 20 feet of scarlet fabric leave audiences breathless with the stories of the blood of Jesus running through time from the Garden to the empty tomb. Rich with personal application, this musical will be an inspiring conclusion to the Season of Praise series held at The Village Church. The Village Church is located near the entrance of The Island at Shell Point Retirement Community in Fort Myers just off Summerlin Road, two miles before the Sanibel causeway. Tickets for Women Who Dare to Believe are now on sale and are $10 each. To purchase tickets online go to http://www.shellpoint.org/seasonofpraise. For additional information about the concert, please call (239) 454-2147. FORT MYERS, Fla. ( April 2 , 2013) – Shell Point Retirement Community, a non-profit organization dedicated to serving seniors in Southwest Florida, opened its third assisted living venture, The Springs, one year ago. New to the Shell Point lifecare tradition, The Springs offers assisted living services to the public on a month-to-month private pay basis. Assisted living services at The Springs are available at an affordable rate while maintaining the high quality care for which Shell Point is well known. By providing assisted living services on a month-to-month basis, The Springs allows residents a higher degree of flexibility including seasonal and respite stays.